Conveniently located near Buckhead and Midtown! I have found my dentistry home! I recommend them hands down. Revolutionizing dentistry to focus on wellness and prevention over sick care. "I have found my dentistry home!!! I recommend them hands down." "Would recommend to anyone needing to find a reliable and great dentist practice." "I finally found a great dentist in Atlanta!I highly recommend this practice." "Everyone at this practice is the greatest. I have never been to a better dentist." Dr. Paul Freeman, DDS is a leading general and cosmetic dentist at Atlanta Dentistry by Design and serves patients from in and around Atlanta Georgia. He provides a wide variety of dental services to his patients including regular checkups, professional cleanings, fillings, bridges, crowns, CEREC® One-Day Crowns, veneers, dental implants, endodontic treatments, root canals, tooth extraction, oral surgery, and orthodontics. Dr. Freeman is a native of Memphis, TN and a graduate of the University of California, Berkeley where he graduated with honors in psychology. He went on to obtain his Doctorate of Dental Surgery at the University of TN, Memphis. Dr. Freeman has been in private practice in Atlanta, GA for over 15 years and has special interests in the application of advanced technology in dentistry. He is a past faculty member of the CEREC Institute in Scottsdale, Arizona where he taught other dentists in the use of CAD/CAM technology. He is also a member of the American Dental Association, Hinman Dental Society, and Georgia Academy of Cosmetic Dentistry. In the past five years, Dr. Freeman has taken over 10 times the required amount of continuing education in order to provide his patients the best dental care available and to stay at the forefront of technological advancement in his profession. Dr. Freeman’s goal is to offer the finest dental care in a respectful and friendly environment. He is an advocate of preventive care and total wellness through educating his community about the relationship between dental conditions and overall health. He resides in Atlanta with his wife, Michelle, daughter and two dogs. When not attending dental related functions and courses, Dr. Freeman is an avid golfer, a practitioner of Bikram yoga, a supporter of Mutt Madd-ness, and for the MS Society in Atlanta. New patients are welcomed by Dr. Freeman at Atlanta Dentistry by Design. Most major forms of insurance are accepted. And the winner of our Spring Bunny Contest is.... #4-Hanna Good job Hanna and thank you all for voting! Our Spring Bunny Contest is in full swing! Cast your vote to help one of us at a chance to win $100 + bragging rights. We will announce the winner in a couple of weeks!! Is your toothpaste too hard on you? What kind of toothpaste do you use? We would like to hear what your brand/type of toothpaste is and what you like about it. The cost of your treatment may vary depending on your individual needs and treatment plan. Dr. Freeman and his staff will discuss with you the cost of your treatment, and each of your available payment plan options, so that you are able to make the best choice for you, your smile, and your family. "Dr. Freeman and his staff are fantastic. You are seen on time and by smiling, happy people who genuinely care about your oral health." "I've had the privilege of having good dentist visits my entire life, but Dr. Freeman's office gave me the very best experience I've ever had at the dentist!" "I love this practice! The office staff is extremely friendly and the dental service is attentive, efficient, and fast. Can't say enough great things about this office!" "The attention to detail that Dr. Freeman applies to his patients leaves little to no room for error. Best. Dentist. Ever. Period." "I have recommended my own friends and coworkers to go to this dentist office. Good work! Highly recommend." "I would recommended Atlanta Dentistry By Design to friends, family and anyone that has fears of going to the dentist." 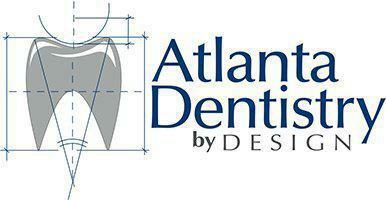 "The Atlanta Dentistry by Design Team is the best. They are very friendly and professional. They provide excellent customer service. "